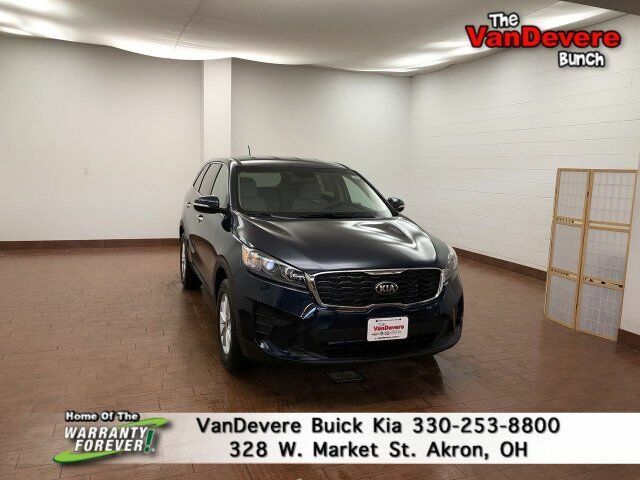 Lease a new 2019 Kia Sorento LX from only $239 A Month for 36 Months with ZERO DOWN at signing. VanDevere, Buy Smart, Leave Happy! 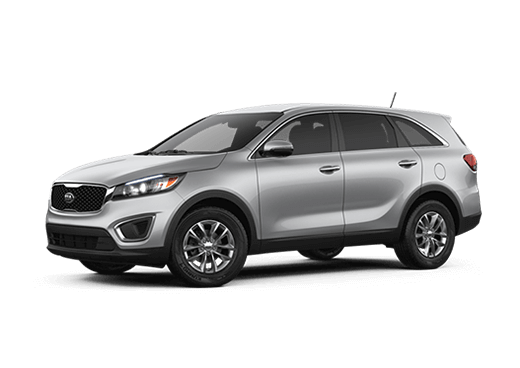 2019 Sorento LX from $239 a Month. Lease terms are 36 month lease 10k miles per year .20 cents a mile thereafter. ZERO due at signing plus tax, title & doc fees. Security deposit waived. Vehicle show may differ from sale unit MSRP $29,030, eight in stock, willing to locate. All rebates, incentives & discounts to dealer. Offers for well qualified buyers financing with KMF subject to credit approval. This sale cannot be combined with prior sales events. While supplies last, vehicle may be previous test drive unit. See dealer for details. Dealer reserves the right to cancel or change the promotion at any time. Offer ends 4/30/19. Backup Camera, Bluetooth, 3rd row seats: split-bench, 4-Wheel Disc Brakes, ABS brakes, Alloy wheels, Blind spot sensor: Blind Spot Collision Warning warning, Brake assist, Carpeted Floor Mats (7-Passenger), Dual front impact airbags, Dual front side impact airbags, Electronic Stability Control, Front Bucket Seats, Fully automatic headlights, Heated door mirrors, Low tire pressure warning, Occupant sensing airbag, Outside temperature display, Overhead airbag, Panic alarm, Power door mirrors, Radio: UVO Play w/AM/FM/MP3, Remote keyless entry, Security system, Speed control, Split folding rear seat, Spoiler, Steering wheel mounted audio controls, Tachometer, Telescoping steering wheel, Tilt steering wheel, Traction control, Turn signal indicator mirrors, YES Essentials Cloth Seat Trim. We had care maintenance done and staff was great. We also worked with Jason VanDevere to finance for paying off our lease and he was the most polite and personable individual sales person. We will definitely use Jason when we purchase our next new car at Kia. This Is are second car we bought in the last 6 months there. Would like to say thank you to Chris and John for Everything they done . They treat you like family there would definitely recommend. I worked with salesman Patrick Scofield and he made the entire process worth my while. He was courteous, kind and just a great guy all around. The atmosphere was so relaxed that it was as if I wasn’t going through the nerve wracking, car buying process! I want to thank Patrick Scofield for helping me find the car I had been looking for. Patrick took the time and made the effort to find the car with all the options I wanted. He went out of his way and he was a no pressure sales person. Ask for Patrick he will help you out!! Pricing may include current promotions and/or incentives. Monthly payment does not include tax, title, license, or doc fees. Prices can differ based on program eligibility & residency, and are subject to change at any time. We make our best effort to keep prices accurate. Despite our best efforts to provide useful and accurate information regarding our vehicles, errors may appear from time to time. All rebates & incentives included.